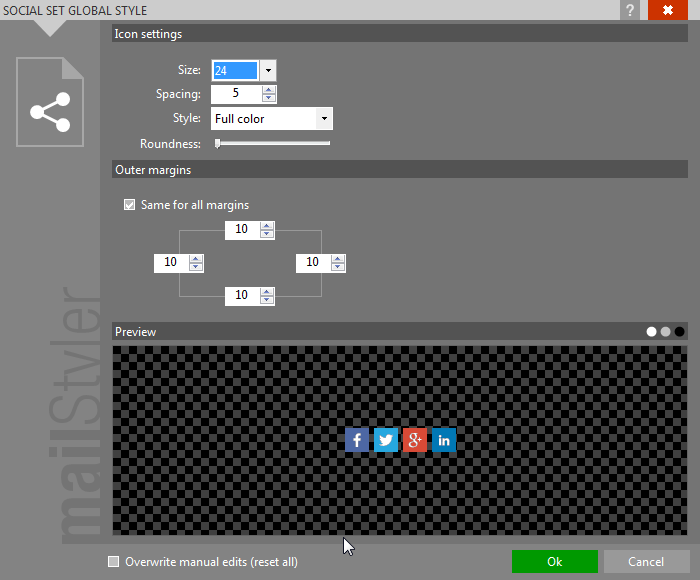 The Social set button in the Edit Global Styles section opens the Social Set Global Style window that allows you to customize the appearance of every single social set of the newsletter. The Social Set Global Style applies to the size of the icons, spacing, color (Style), roundness, and outer margins. If checked, the Overwrite manual edits (reset all) box overwrites all manual social set customizations previously applied.